The Memorial Candle Program has been designed to help offset the costs associated with the hosting this Tribute Website in perpetuity. 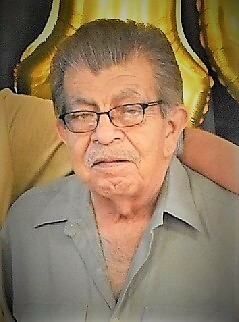 Through the lighting of a memorial candle, your thoughtful gesture will be recorded in the Book of Memories and the proceeds will go directly towards helping ensure that the family and friends of Alfredo B. Figueroa, Sr. can continue to memorialize, re-visit, interact with each other and enhance this tribute for future generations. Obituary for Alfredo B. Figueroa, Sr.
Alfredo B. Figueroa, Sr., 67, of Andrews passed away on Thursday, December 13, 2018 in Odessa. Family and friends will gather to recite rosary services at 3:00 PM Sunday, December 16, 2018 at McNett Funeral Home Chapel and funeral services will begin at 4:00 PM Sunday at McNett Funeral Home Chapel with Deacon Jose Gallegos officiating. Cremation arrangements are under the personal care of McNett Funeral Home. Please celebrate his life by visiting www.mcnettfuneralhome.com. Alfredo was born on October 6, 1951 in Piedras Negras, Mexico to Sirildo M. Figueroa, Sr. and Maria Felix Bueno Figueroa. He was raised in Piedras Negras and moved to Pearsall, Texas, where he worked with his father on John Barkley farms. He moved to Andrews in 1971 from Pearsall, where he worked for Kirby West Vacuum Cleaner Plant for 42 years, retiring as polishing foreman. He was a member of the Moose Lodge and Our Lady of Lourdes Catholic Church in Andrews. He enjoyed watching football and the Dallas Cowboys. He loved spending time with his family on vacation and was a great father, grandfather, and loving friend. He enjoyed helping others anytime they needed it, loved to joke around, and make people laugh and feel good during the hard times. He was preceded in death by his parents, and sister, Blanca Garcia. Alfredo is survived by his 2 sons, Alfredo L. Figueroa, Jr. and wife, Rosemary, of Odessa and Yanik Figueroa and wife, Leticia, of Andrews; 3 siblings, Sirildo B. Figueroa, Jr. and wife, Olga, of Brownsville, Eloy B. Figueroa and wife, Anna, of Andrews, and Carolina Lopez of Pearsall; brother in law, Roman Garcia of Pearsall; 6 grandchildren, Jonathan, Nicholas, Azrial, Andrea, Dominic, and Angel; and 1 great grandson, Nolan. To send flowers to the family of Alfredo B. Figueroa, Sr., please visit our Heartfelt Sympathies Store.